Yesterday on my Whiteout Wednesday post I put up one picture from this beautiful kitchen with a promise of more pictures today. 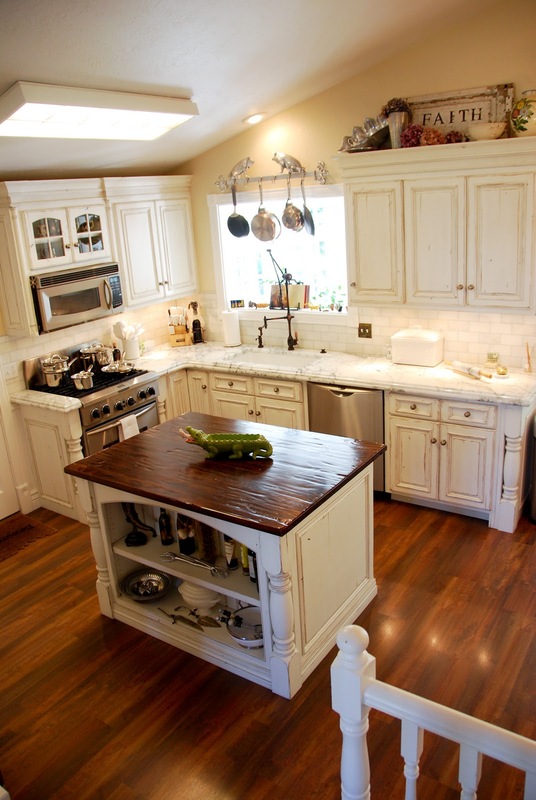 The home is actually owned by a contractor that we work with, Pyne Renovations. 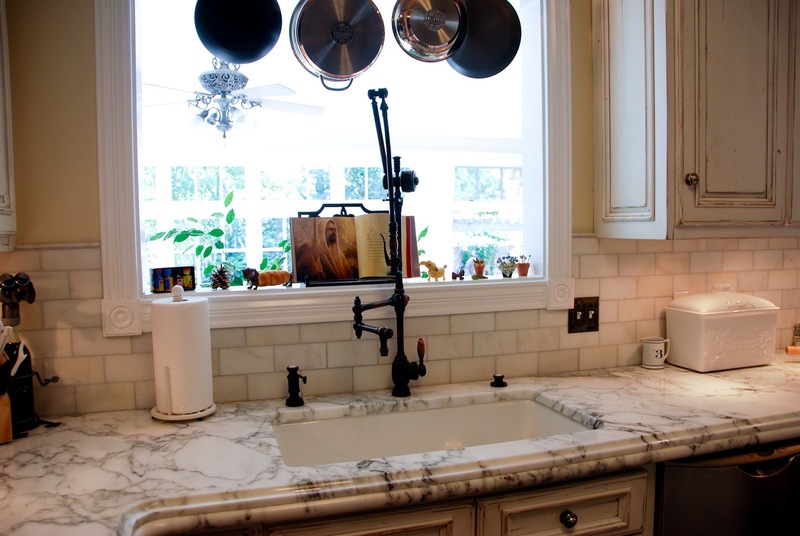 They do custom renovations specializing in kitchens and baths. He does amazing work as you will see in his own home. Check them out if you are looking for a great contractor. 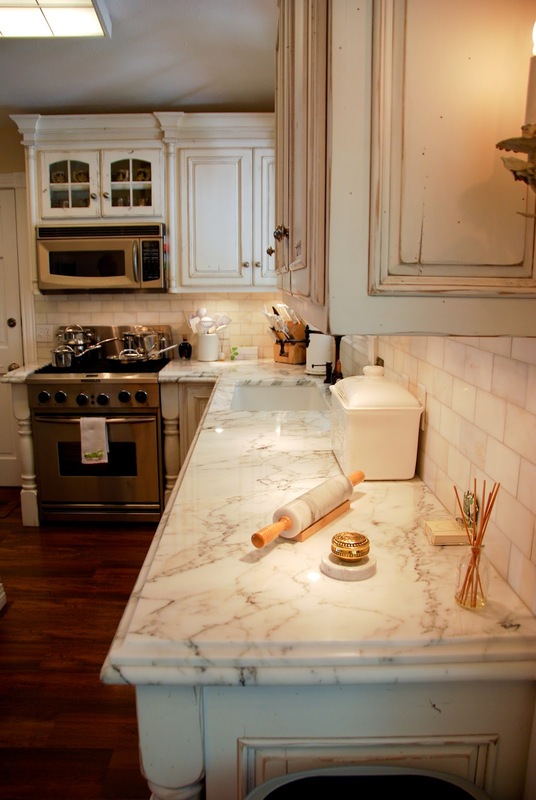 The countertops are Calacatta Gold marble. 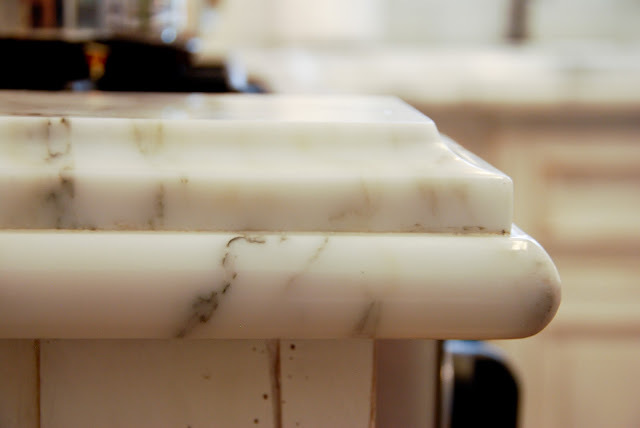 He searched and searched for the perfect slab of Calacatta, and he did find a gorgeous piece. The backsplash is also Calacatta Gold marble in a subway tile. 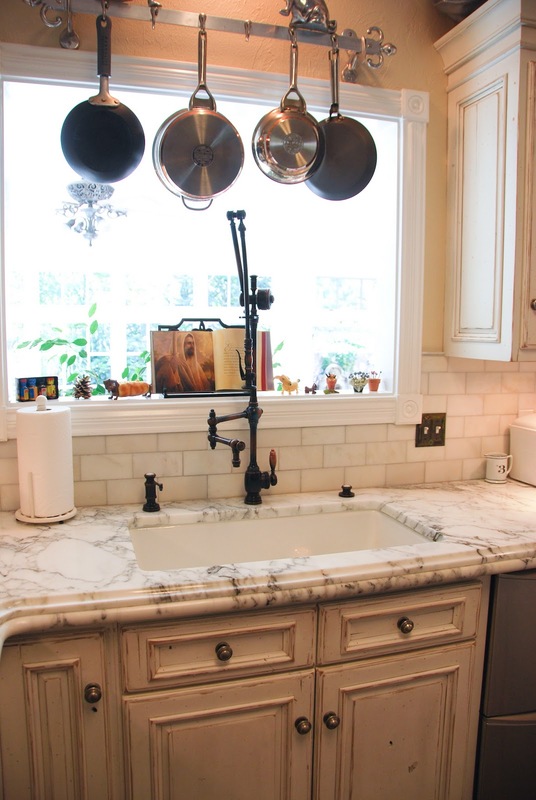 The countertops have been in for 3 or 4 years and they still look great. I didn't notice any major etching and there wasn't a stain in sight. He told me he's a cook, so it's not like this kitchen isn't used. The edge detail is an Upstate New York. 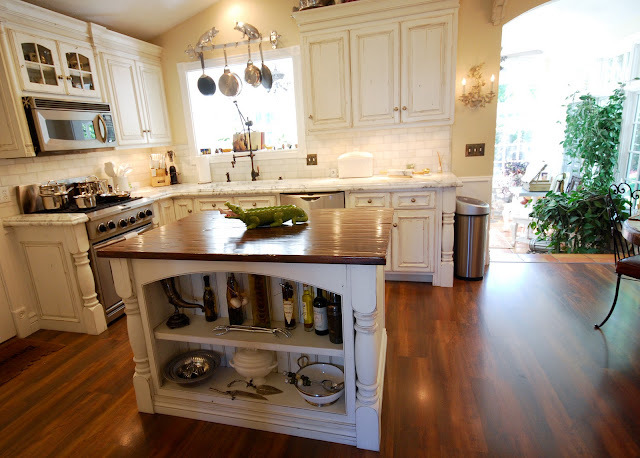 Isn't it a beautiful kitchen? Come back Monday for pictures of the Wet Bar using Super White quartzite!